This is a great promotion for those looking to earn SAS EuroBonus Points when renting with Hertz. The Scandinavian based airline is a great way to travel to Denmark, Sweden, Norway, and beyond! You can break up your rentals to a day a piece, if you don’t mind going back to the rental office. If you had a six-day Hertz rental, breaking them up as separate rentals you and go back to the rental office each day, you’d earn enough for a one-way from the US to Europe on SAS. Don’t forget about one-way rental cars starting at $7.99 per day from Arizona and Florida! For each rental, minimum just one day, you’ll earn 5,000 EuroBonus points. 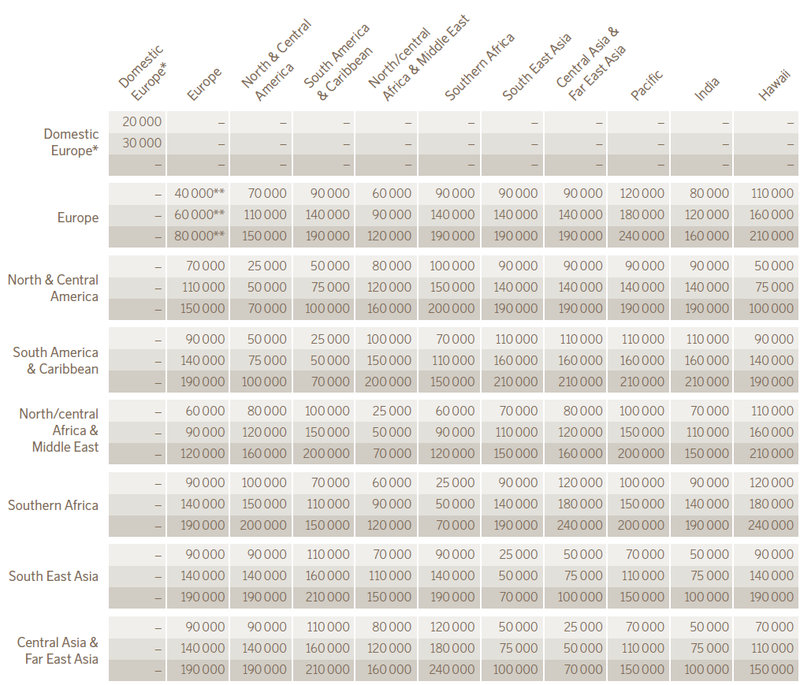 You will need just 10,000 points to redeem a round-trip on SAS within Scandinavia (intra-country). SAS Flights from North America to Europe in economy are just 60,000 EuroBonus points round-trip, you’ll earn that in 12 rentals (or 12 days if you break them up). Celebrate with us the 25th Birthday of SAS EuroBonus. Therefor Hertz is awarding you 5,000 EuroBonus Extra points per rental of one day and longer worldwide. Just book your car by 30th June and rent until 30th September 2017 to earn your Extra points. To be quick is paying off: The first 25 bookings receive an amazing 25,000 EuroBonus points on top as very special Birthday gift on their EuroBonus account. Bookings must be made via this page using the discount code CDP 736686 and the promotion code PC 203592. Once you have your EuroBonus number you will add as your “other frequent traveler programs” on the last booking page of Hertz. THIS IS A MUST.